Say “Toulouse” and most people think “Airbus”. Partially because of that, it’s now the fourth largest city in France (after Paris, Lyon and Marseille, in that order). It’s the center of the country’s aerospace industry, the place where the Galileo spacecraft’s positioning system was developed, as well as the Ariane rocket, and it’s the headquarters of France’s section of the European Space Agency. As futuristic as all that sounds, Toulouse is also home to one of Europe’s oldest universities (founded in 1229), which gives the city deep roots. Until the Revolution, France was broken up into provinces. 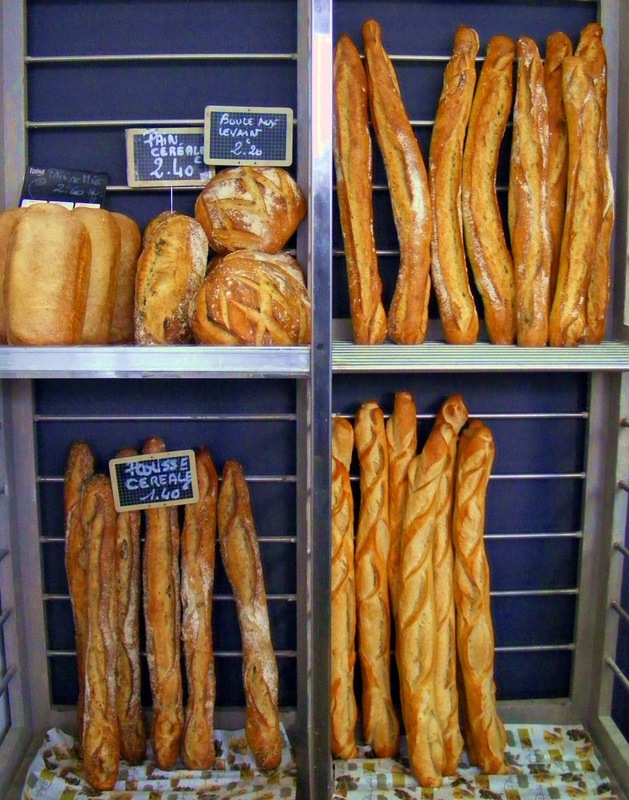 Languedoc was one of them, and Toulouse was its capital, so the city is not a newcomer. Even before that, the Romans built it up from a mere military outpost into a city. When the Visigoths overran them, it became their regional capital. And when the Franks in turn took over from them, it became their capital. Its location on the Garonne River probably enhanced its attractiveness. Under the empire set up by Charlemagne, regions were given considerable political leeway. Toulouse took full advantage of that, and its Count became rich and powerful. But with the Cathar uprising, Toulouse entered into conflict with France’s king, and the city finally was forced to become part of the realm under the Treaty of Paris in 1229, the same year the university was founded. Toulouse is called la ville rose, the pink city because it’s built of adobe-style red bricks that glow pink in the setting sun. I’ve been there three times already, but always only in passing. Once overnight for my daughter’s national gym competition, when I flew down to surprise her - so I got to see the sports complex. Once again overnight, passing through in the car of a friend who was in a hurry to get somewhere else - so all I got to see was one arcaded square where the hotel and restaurant were located. And once more after visiting Albi, when I had programmed four hours to look around at last... but it was bitterly cold for the season and I was gloveless and not dressed for it - so I took an earlier train back to Paris and only got to see the train station and have a cup of tea in the café across the way. Not very exciting, given all that’s on offer. This time I’m going to do it though. This time I’ve traveled down just for that. (Well, that and to see my old friend who also finds the situation unacceptable and has volunteered to be my guide.) This time it’s February, but I have gloves and a Michigan-winter coat and boots. In short, I have The Right Stuff! We start off with the Basilica of St. Sernin, because it’s the largest romanesque church in Europe. It’s been around since Charlemagne, who gave it some relics... and that turned it into a stop on the pilgrim’s road to Compostella. Daniel takes me to a side door, which just happens to be the one that has Saint James (of Compostella) carved in stone right overhead. The inside is vast, and hints at what Gothic churches will become. The columns are there, but there isn’t the light that Gothic engineering tricks already being developed will shortly afford. The windows are also much smaller than they will become in Gothic churches. And yet this romanesque church impresses by its sheer size. Outside, as I try to take a photo of it all, a gypsy woman comes by and pulls The Ring Trick. It goes like this. She picks up a gold ring (which she has previously dropped there), holds it out and expects a reward. (This woman said “Good luck”, probably because only English-speaking people wear grape-colored coats.) It’s a relatively new trick but someone already tried it on me in the Tuileries Garden last fall, so I just laugh at her, tell her she must be kidding (in French) and she goes away. Next stop is Notre-Dame du Taur, a brick church with the typical flat fronton of the region. This is where the first university started, run by Jacobins, and it’s all that’s left of the convent complex. Unfortunately - perhaps - it’s lunchtime and the doors are locked. Lunchtime is something my friend-and-guide approves highly of, as do I, and he escorts me down a side street to lunch at Old Man Louis’s. It’s an old-style bistro called Au Père Louis, where we are greeted warmly. The front room being half of the fun, the only seats left are at the bar, so we sit on our stools and watch the regulars over a glass of something Père Louis seems to have invented - or at least mastered: quinquina, sweet but not too, and syrupy thick, unlike anything else I’ve ever tasted. The waiter/barman tries to talk Daniel into ordering just one cold meat plate to share instead of two, but to no avail. When they arrive, it’s obvious to me that there are going to be no “afters”, and that Daniel alone will be tucking into a second course. And that lovely meringued lemon tart is definitely out of the question. It takes me two courses to get through my “appetizer” alone: two types of ham (cured and dried), French salami, a huge hunk of pork pâté and the miraculous rillettes d’oie, a moist, spreadable, richer-than-rich pâté of shredded goose that is one of the wonders of France. (Be advised: pickles do not come with cold meats here, as they do elsewhere in France.) And all this - two plates, a main course, a bottle of wine and that Quinquina apéritif - for a third of the price such a feast would cost in Paris. Unbelievable. And unbelievably delicious. We waddle out and down the street to the Hôtel d’Assézat, which, as its name does not indicate is not a hotel. Hôtel in French also means a private home of the mansion sort. Which this once was. My 1980 Michelin Guide Vert told me this was the most beautiful private building in Toulouse, and I’m sure it’s right. It also told me you couldn’t visit the interior, and that if I wanted a wonderful view of the roofs of old Toulouse I should ring the doorbell and ask the concierge for the key. Well, guess what. We’re not in Kansas any more Toto; we’re in 2014 and a lot of Garonne has flowed under the bridge. It turns out this 16th c building is now a museum for a collection left to the city by a rich Argentine of German ancestry but raised in France. Shortly after my Guide Vert went to the editors, George Bemberg, having no heirs, decided to leave his humongous art collection to a French city. Paris played finicky; so did some other cities. Then Toulouse raised its hand and walked off with the prize, totally refurbishing this building as a showcase for Bemberg’s collection. Room after room is filled with wonders. But the cherry on the cake is Number XII: the Bonnard Room. 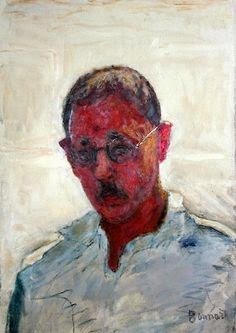 I think this must be the largest collection in the world of works by Pierre Bonnard, including two self-portraits, and it runs the gamut from the Nabi days to his death. We head down to the Garonne River close by, to a square from which river tours usually leave, except that work is underway to salvage a tour boat that has sunk. That was fun for a while, in spite of my naval architect friend telling me they were doing it “in a very strange way” - and I’m sure he’s right. It gave me time to enjoy the beauty of the Pont Neuf bridge and the many students walking hand-in-hand. (The art school and a high school are nearby). We take a page from their book and stop at a café for a cup of something before heading home. On the way back to the car, we again cross the main square of Toulouse, the Place du Capitole. The market that was there all morning has gone home, leaving the square looking even bigger than before, and all for pedestrians. The bronze croix du Languedoc - Occitan cross - in the pavement shines golden in the setting sun. Every sign on this square is golden, to give it a harmony... even the Golden Arches of McDonald’s are indeed golden here and not that awful yellow. We detour into the Capitole itself, the city hall, elegant within its brick-and-stone walls. Frescos are everywhere and we go up the majestic stairway to see the salon where happy couples from Toulouse are married by the mayor. The view of the square below is even more striking from up here. Then it’s back to the car, walking past the dungeon behind City Hall... all that’s left of the old 16th c Capitole. Night is falling. It’s dark before we get back to Saint Antonin Noble Val, with cheese from an amazing shop along the way. My guide has been excellent, but I know I’ll have to come back again to la ville rose. I’ve just scratched the surface of what Toulouse has to offer. Not to mention another meal at Père Louis! When I moved to my new place in Montmartre in 2005, a dear old friend gave me a housewarming present. 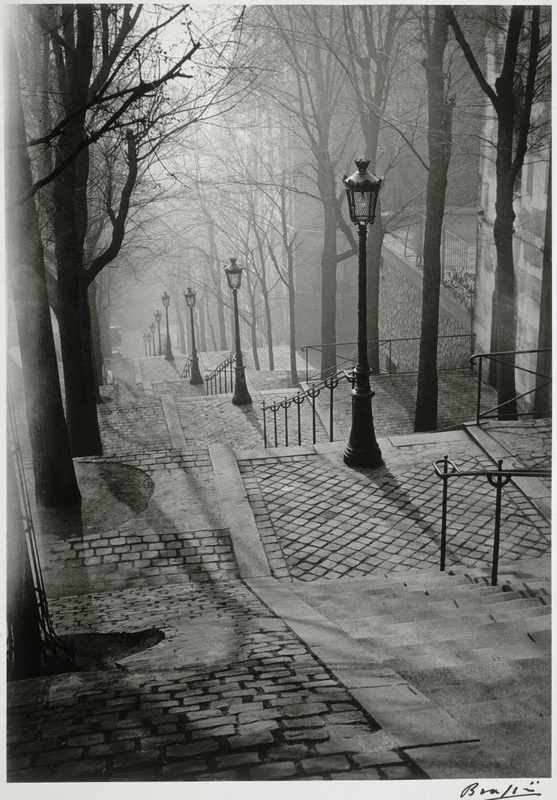 It was a print of Brassaï's iconic photo of Montmartre stairs in the mist. They are the stairs that loomed right across from my home of 27 years. It was her way of helping me bridge the gap and close the wound of what had been a heart-breaking exile of several years. 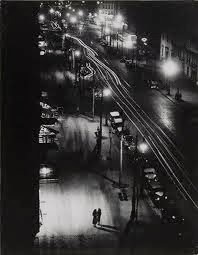 Actually Brassaï’s name was Gyula Halasz and he was born in 1899 in Transylvania (thus his fascination with the night? ), which was then within the kingdom of Hungary but is now part of Romania. His parents took him to Paris when he was only three and they lived there for one year. That set indelible memories in his young brain. It would take until age 25 for him to return to the French capital and by that time he’d studied art in Berlin for four years. Brassaï was always a bit different. For instance, to learn French, he read Proust, one of the most difficult - and grammatically long-winded - of all French novelists. Not an easy primer, but one that brought back images of that childhood year in Paris and set the tone for what he later called “latent images”, the theme of his photography. I suspect he picked up more functional French from the artist colony in Montparnasse, where he settled. 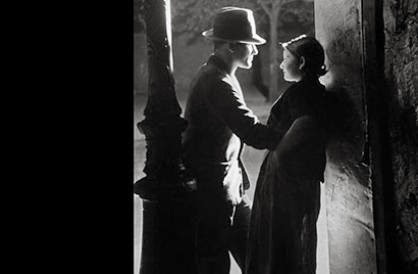 Brassaï made Paris his home for the rest of his life. And even thereafter, as he’s buried in the Cimetière de Montparnasse. The show - Brassaï: For the Love of Paris - is divided up into rooms for his different... well, maybe fascinations is more the word, rather than themes. There’s one room for photos of the wall graffiti that he loved to note down in a little book during his night walks. There’s another for the artists he frequented, including his dear friend Picasso, but also Henry Miller and Salvador Dali. Another room or two focus on night life, be it night clubs, dance halls or the ladies of the night. It was interesting to see some of the same faces in different photos. These were obviously haunts of his. 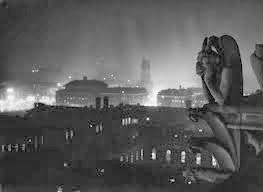 It’s somewhat strange that most of Brassaï’s photos of The City of Light are night shots. But that was what fascinated him, and made the play of light on dark stand out the most. Brassaï made one film, a short feature called Tant qu’il y aura des bêtes (As Long As There Are Animals), which won an award for originality at the Cannes Film Festival in 1956. That film, shot at the Paris Zoo, is playing in yet another room. The last part of the exhibit is the long gallery, filled with a mix of his photos. The entire show gives an excellent review of the “stolen moments” this lover of Paris found as he walked through his city of adoption. It’s a Paris that, for the most part, has disappeared and it’s refreshing to see that little child fascinated by a cloud of balloons and the bookseller with the white reflections on his spectacles. It was the same city, but another time. March is usually a time of melting. Melting snow, mainly in Michigan and the rest of the northern United States, where I spend the non-France part of my life. Although it's not so melty this year. And after the snow starting at the crack of December, followed by a finger-numbing January and February, a lot of melt will be required! Still, it seems logical that March should be the month of fondue. The word “fondue” comes from the French “fondre”, which means to melt. And there will be a lot of melting before you can dig in. Or rather dip in. In France, there is fondue bourguignonne (with meat) or fondue savoyarde (with cheese). Savoie was an independent region annexed by France in 1860, which is very recent on the European history scale. It’s in the Alps, near Switzerland. Thus the cheese. The Swiss used fondue as a way to make it through the winter on little money, stale bread and hardened cheese. Now it’s become a pretext for a fun party, because anyone who loses his or her crust of bread in the cheese will have to a) buy the next bottle of wine, b) kiss his/her partner, or c) perform a “trick” such as singing a song or telling a joke. Plus just generally get teased a whole lot. Fondue involves few ingredients, so the choice of the wine and the cheese is of vital importance. The wine must be a light and dry white, such as a Neuchâtel, Rhine, Riesling or Chablis. 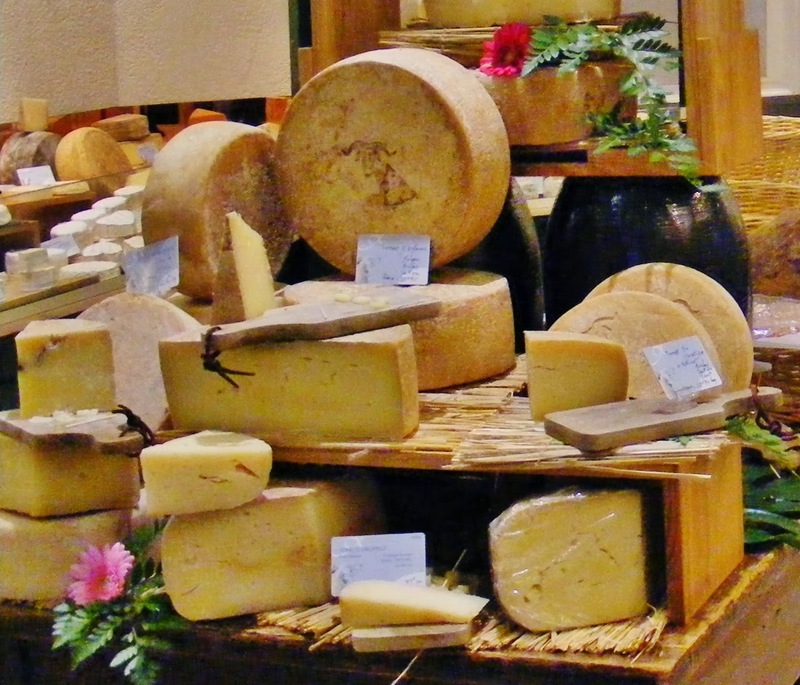 The cheese is traditionally Emmentaler and/or Gruyère. Fondue made with only Emmentaler is mildest, both together is a bit stronger, and well-aged Gruyère alone has the strongest flavor. In preparation, cut up some hard-crust French-style bread, leaving at least one side of crust (or better yet two) because if you lose your bread... well, see above. The drier the bread, the better, so if you have a lot of bread left over from a party, this is an excellent opportunity to use it up. Remember: the Swiss dunked their bread because they weren’t wasteful. How do you think the country got so rich? Kirsch (cherry brandy) is the traditional Swiss choice of brandy for a fondue savoyarde. You can use cognac, light white rum or even hard cider. Or maybe a Poire William pear brandy from Alsace, another French region. But kirsch is the real deal, and marries best with the cheeses. Utensil: For cheese fondue, you use an earthenware pot, called a caquelon (pronounced “kah - keh - lo”). Metal fondue pots are for the hot oil of meat fondue. At the end you’ll have a rich brown crust on the bottom of the caquelon. This is considered “the best part” and it can either be divided up or awarded to the one who didn’t lose their bread. - Cut the cheese into very small pieces. It will melt more smoothly than if you grate it, and be more flavorful. - Warm the white wine over direct low heat until air bubbles start to rise to the surface. NEVER BOIL THE WINE! - Right away start adding the cheese, a handful at a time, and stir with a wooden spoon. And stir. And stir. Until the cheese is melted. Then add another handful. And stir. - Cut a large clove of garlic in half and thoroughly rub the inside of a round earthenware pot (caquelon) for an added layer of flavor. Pour the cheese fondue into the caquelon and light it up. Use a sterno or other type of fuel heat; candles won’t keep the cheese warm enough. - Should the cheese get too thick, stir in a little wine. If it separates or gets lumpy, put it back on the burner, stir in ½ t of cornstarch diluted in a bit of warm wine and blend it in with a wire whisk. - Now grab a fondue fork, spear yourself a crust of bread and start figure-eighting in the cheese. Remember: the cheese will be very hot, so just blow on it a bit before you pop it into your mouth. Plus that gives the others a chance to dip.